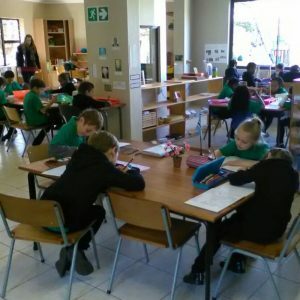 We are an authentic Montessori school situated in the beautiful surroundings of Ruimsig, close to the Walter Sisulu Botanical Gardens on the West rand. Our campus opened in 2011 and offers environments from Grades 000 to Grade 12. 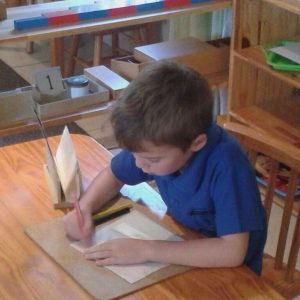 We follow the world renowned Montessori Curriculum which satisfies the Gauteng Department of Education requirements. 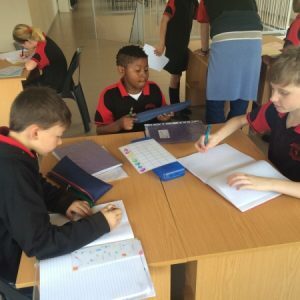 Our High School follows the Cambridge international Curriculum which is recognised in all Universities both here in South Africa and throughout the world. A Montessori Environment is not just a place of learning, it is a community of individuals interacting co-operatively, being responsible for their own learning and to be accountable as a member of society. Each environment enjoys a three year age group enabling older children to integrate and apply what they have already learned as they inspire and teach the younger children, thus allowing our all important ‘Mentorship System’ to unfold. The younger child matures within the environment embarking on a journey of child-centred, project based learning, preparing for each stage of their development into adulthood.